With the sharpest display in its class and stereo sound, all of your photos music and videos look and sound their best in brilliant 5″ HD. Power through you day with the all-day battery. Never worry aboutstopping to charge. Listen to music while uploading your latest pictures. Quickly switch from playing a game to texting. With a quad-core processor, Moto G multitasks as easily as you do. 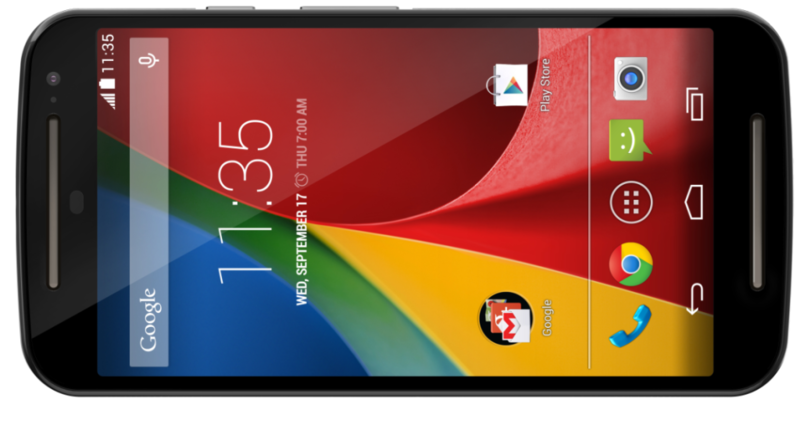 Moto G is powered by Android 4.4, KitKat. And with a guaranteed upgrade, now you are up to date with the best Android experience. 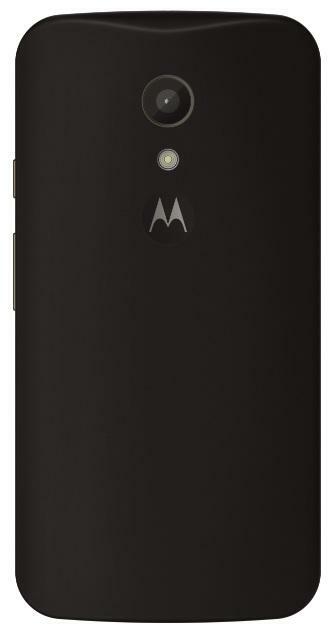 Personalize your new Moto G with Motorola Shells -the interchangeable backs let you express your style. 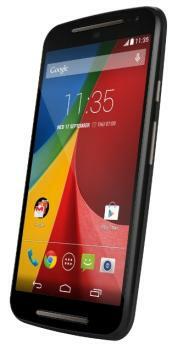 Moto G now comes with a brilliant 5” HD display plus stereo sound to fully enjoy your videos and photos. 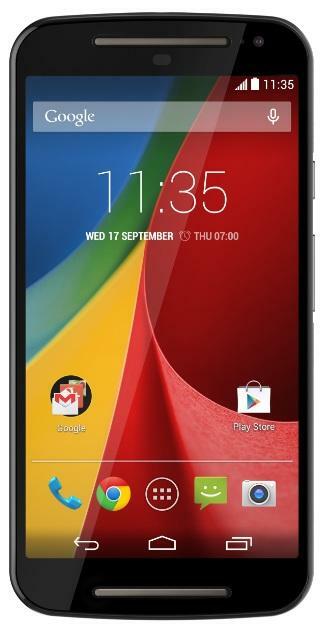 With its all-day battery, quadcore speed and the latest Android OS, Moto G keeps up with everything you do. All this plus Motorola Shells to express your style. 5” HD Display. Super Sharp. Incredibly Brilliant. Bring videos, pictures, and everything else to life on a brilliant 5” HD display that spans from edge to edge. It’s the sharpest display in its class, so text and images always appear crisp and clear. We designed the new Moto G with two speakers in front, so you hear music and videos in full stereo sound. 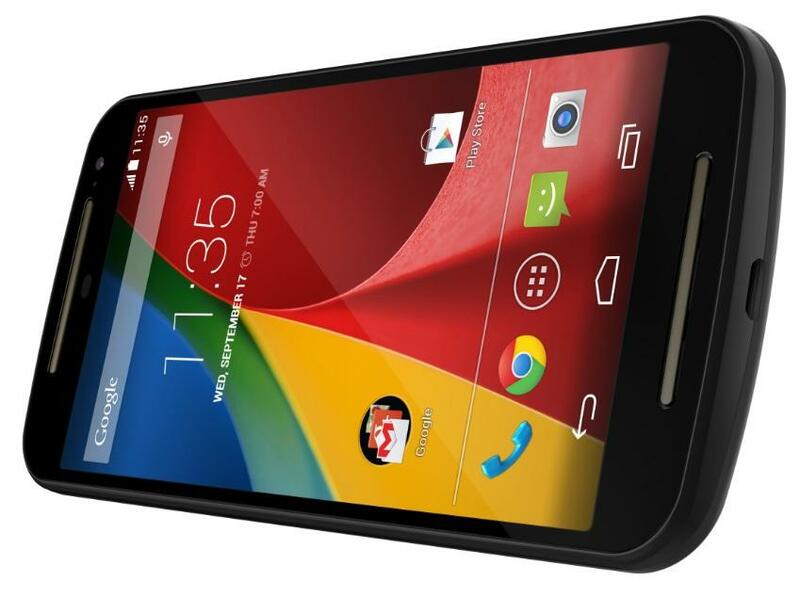 Moto G runs Android 4.4, KitKat, the latest version of the world’s most popular operating system. And with a guaranteed upgrade, know you’re up to date with the best Android experience. Listen to music and surf the web at the same time. The powerful Qualcomm Snapdragon 400 processor with 1.2GHz quadcore CPU and advanced graphics lets you switch back and forth between tasks without ever slowing down. Start with a black or white front, and then let the fun begin. 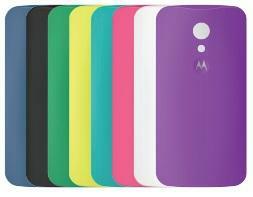 Moto G features interchangeable backs called Motorola Shells that let you customise the look of your phone. With tons of color and design combinations, get the most personalisation options of any smartphone in its class. 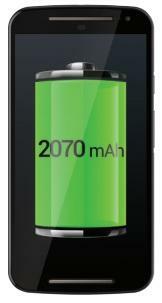 Go all day without plugging in thanks to a long lasting 2070 mAh battery. And think about everything you want to do, not how much time you have to do it. Touch anywhere to take a shot, capture panoramic pictures, or record HD video. 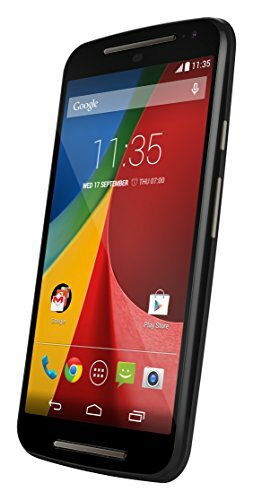 The new Moto G gives you an 8MP rear camera that captures 720p video at up to 30fps, plus a second 2MP camera in front for great-looking selfies. Save more photos, videos, music, movies, and apps on a microSD card or the phone’s internal storage. And know you have the extra space whenever you need it.